If you’ve suffered industrial deafness get expert advice with a free, no obligation consultation. The idea of claiming for industrial deafness may appear challenging on the surface for many people. This is because it can take decades for the effects of long-term exposure to excessive noise to present itself in the form of industrial deafness, also commonly known as noise induced hearing loss or occupational deafness. While there are many issues to consider, if a worker has suffered from industrial deafness and it can be proved that their employer was negligent in the past then they could have a strong claim for compensation. It will come as no surprise to learn that this particular type of injury is more prominent in industries such as construction, materials extraction and manufacturing. We will now take a look at the process, issues to take into consideration and how the system treats industrial deafness. These types of injury are often referred to as “latency” conditions because they can occur many years after the exposure to loud noises has ceased. 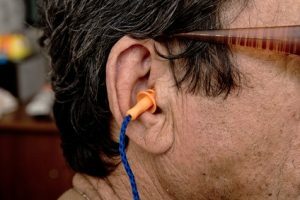 As a consequence many people seem to be under the misapprehension that because the roots of the industrial deafness injury may extend back many years that it is not a legitimate personal injury claim. This is certainly not the case and for clarity, there is a major difference between deafness in older age and industrial deafness. Difficulty keeping track of conversations. Struggling to use listening devices such as the telephone. The need to maintain high volume on your television set. An inability to keep up with conversations where there is noise in the background. Even though these symptoms may seem fairly general it has been proven by the medical profession that they do form the core basis of potential industrial deafness. If you are struggling with any of the above symptoms it may be time to contact a personal injury claims solicitor to discuss your case in more detail. If there is a legitimate claim then an examination by a qualified medical expert will be arranged to look at not only the physical symptoms but also the background to your working life. It is worth noting that the full background to your working life is as important as the physical symptoms when pursuing employer negligence claims. This is the time when a detailed account of your working environment, training, equipment used and protective equipment available/ not available should be put down on paper. There may well be supporting evidence from current and former colleagues who could be called as witnesses if the case was to go to court. In summary, this initial period will help to determine whether an employer was negligent and to what extent. If a detailed review of your working environment, machinery used and available protective equipment shows that an employer was negligent then next you would need to establish legal responsibility. As well as industrial deafness there is an array of other hearing difficulties which can arise from exposure to excessive noise such as tinnitus and acoustic shock syndrome. This is where professional legal advice comes into play because while many will focus on industrial deafness there are other issues to take into consideration. It is also worth noting that any employer has a duty of care to all of their employees and whether a claim emerges at the time of an incident or years later, as is common with industrial deafness, this has no relevance to their legal obligations. The Control of Noise at Work Regulations 2005 forms the basis for any action against a current or former employer. As injuries such as industrial deafness became more commonplace at the turn-of-the-century the authorities were forced to act in officially recognising the legal obligations of employers in relation to protection of hearing from excessive noise in the workplace. This particular set of regulations should be considered in conjunction with the various health and safety at work regulations which also offer a degree of protection to employees. Providing the relevant personal protective equipment. Minimising exposure to noisy work environments. The use of absorbent materials and installation of safety barriers. Where a potential risk has been identified all employees should be given additional training and the employer has a legal obligation to introduce hearing checks for employees. Constant monitoring of the working environment and the hearing quality of employees should continue while the potential risk to hearing remains. In many ways the legal profession and the business arena need to make the wider public more aware of issues such as industrial deafness which may emerge decades after exposure to loud noise in the workplace. It is surprisingly easy to diagnose industrial deafness, and other similar injuries, and link them to relevant working environments forming the basis of a case. Even where a company is no longer trading, a successful claim will still be settled by the insurance company that provided the original employer’s liability insurance. As always seems to be the case when discussing compensation for employer negligence the term “reasonably practical” comes into play. Let’s not forget, there will be noisy working environments in which an employer has carried out a thorough risk assessment, provided the relevant safety equipment and continuous training of staff. In this instance there would appear to be no negligence but unfortunately many employers, both current and in years gone by, have failed to abide by their legal obligations. It is also worth noting that employers are legally obliged to take out employer’s liability insurance which will cover incidents such as industrial deafness. In some instances, when presented with a detailed case for compensation, many employers will look to settle out of court although there will be occasions where liability is disputed. For clarity, even if the original employer has gone out of business or closed down there is still a case to pursue with the insurance company which provided the original liability cover. In the vast majority of cases, any compensation claims would automatically be passed to the company’s insurance representatives even if the company was still trading. If liability is disputed, the case will be heard with evidence presented by both sides and a judgement made by the courts. The option to appoint legal representation on a No Win No Fee arrangement ensures that a claimant does not pay upfront and hence end up out of pocket with a failed industrial deafness claim. It is also worth noting that the legal profession has a moral obligation to ensure that as many valid claims as possible make it into the legal system. This ensures that more employers are held to account and more employees receive the compensation that they are legally entitled to. It is impossible to give any exact guidance on potential industrial deafness compensation levels without knowing the details of your claim although compensation can vary from a few thousand pounds up to tens of thousands of pounds. This will depend upon the level of deafness, the degree of negligence on behalf of the employer and the impact on the claimant’s standard of living. Speaking to a personal injury solicitor and discussing your industrial deafness claim will help them determine what level of compensation you could claim for.